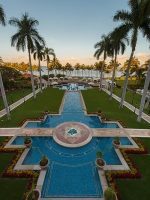 For nearly 50 years, the Canadian-owned Four Seasons Hotels and Resorts has built an international reputation for offering its guests exquisite accommodations with exceptional customer service. The Four Seasons Resort Maui at Wailea lives up to the company’s stellar reputation and is a AAA Five Diamond Resort and Mobil Five-Star Award winning Hawaiian resort. 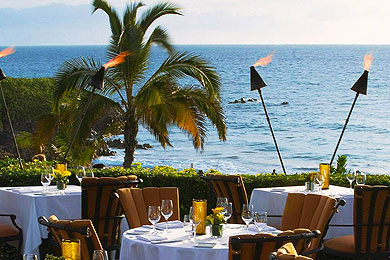 Perched between the soft golden sand of the southwest coast and the scenic mountain peaks of Haleakala, the resort boasts the largest guestrooms and suites (as well as bathrooms) on the entire island, along with three pools, three restaurants, a spa, salon, boutique shops, game room and fitness center. Built in 1990, the Four Seasons Maui was the first resort the company launched and has been awarded the AAA Five Diamond Award each year since it opened. Guests will especially delight in the endless array of complimentary extras that pamper guests, from tasty treats poolside to water adventures on Wailea Beach. And just a few swings away are Wailea’s three prestigious golf courses — the Gold, Emerald and Blue Course, each offering 54 holes of par-72 golf. With a choice of 380 accommodations, from large and small suites to guestrooms with ocean, garden or mountain views, you can rest well knowing you're relaxing in the largest standard guestrooms (and bathrooms) in Maui. 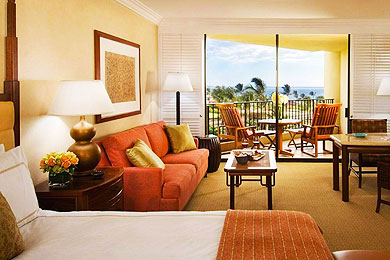 Eighty-five percent of the guestrooms offer ocean views, and all the rooms open to one or more lanai (balcony). 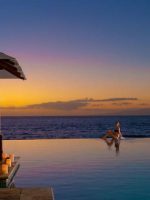 Four Seasons Maui offers 73 suites, 36 executive suites, 21 one-bedroom suites, 16 two-bedroom suites, the Ilima Suite and the 5,000-square-foot Maile Suite. You may also opt for a Club room or suite and indulge in all of the Club room amenities, such as an exclusive concierge and all-day refreshments, including continental breakfast, afternoon tea, cocktails, desserts and after-dinner drinks. All units come complete with elegant furnishings, plush robes, built-in refrigerators, 42-inch plasma TV's with DVD players, and iPod docking stations. As an added amenity, a built-in sound system allows you to listen to a variety of music, including soothing Hawaiian tunes, as you get ready for the evening. Honestly, any room you choose is ideal for kids, thanks to Four Seasons impeccable hospitality. Connecting rooms are available at the resort so parents can enjoy some privacy, and if there is anything you need, from complimentary cribs and rollways to a diaper genie or baby swing to soothe a fussy mood, the staff will gladly provide it in a pinch. Upon request, the staff will even "babyproof" your room with Lanai nettings for the porch and place baby bumpers on the designer furnishings, as well as provide a baby monitor. To make navigating the resort easier, you may want to request a room closer to the elevator, which flanks each side of the hotel. If your room is smack dab in the middle of them, be prepared for some power walking before you even hit the lobby. And the keiki in your party will receive a special welcome to the room that is sure to put a smile on their faces -- colorful sponges spelling out their name in the bathtub. 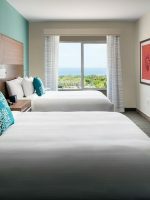 Depending on their age, children will enjoy a variety of room amenities and feel as pampered as the grownups, from plush kid-sized robes, a bathroom step stool and special shampoo bath set, to a signature stuffed animal, coloring books, beach bags and even the availability of pop-up tents for some in-room fun. For families of three or four, the suites are most suitable. They offer king beds and queen sofa beds. If you have a group of six, opt for a Two-Bedroom Suite, which has a king bed and a sofa bed, plus another room with two queen beds. Everything was absolute perfection, from the moment we were greeted with leis at our car to the moment we sadly needed to drive away. As we checked-in (enjoying the delicious refreshments which were offered to us), my husband quietly commented to me about how our three boys would likely fight over his leis. Moments later, two extra leis were handed to us with a smile. We were brought to our room by an incredibly friendly and informative gentleman, who pointed out a number of features of the resort, made recommendations, and offered to assist with dining reservations. Our room was clean, spacious, and comfortable; the view was breathtaking. The service throughout the entire property was consistently some of the best service we have ever experienced. We especially enjoyed the convenience of the poolside service around both the fountain pool and the absolutely stunning serenity pool. The little refreshing treats, which were offered to us around the pool (bits of pineapple, banana smoothies, and guava jelly) were an added bonus. I also really appreciated the personal texts I received both before and after our visit. Every bit of our experience at the Four Seasons in Wailea was extraordinary! I'd stay there again in a heartbeat!! Outstanding resort. Every aspect throughout the resort including the restaurants, the bars, the pools, the Club Lounge, etc. etc was fantastic. 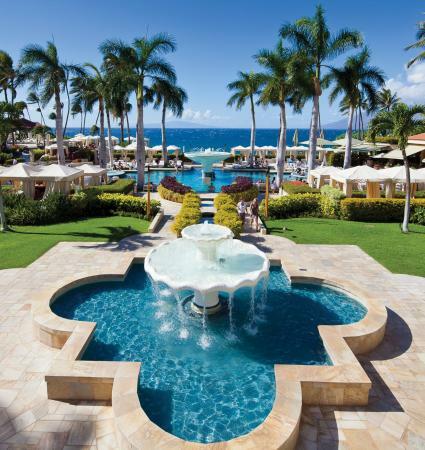 Anyone looking for a luxury vacation should consider staying at Four Season-Wailea resort. The overall property, the location and the entire Staff were definitely 5-Star. It's a rare pearl that can provide ultimate luxury and priceless pampering, while seamlessly providing all the creature comforts that families crave, but the Four Seasons Maui marries it all with ease. As any parent can attest, beach vacations can be a bit stressful with toddlers, from arranging naps to lugging beach toys, but the poolside service at the Four Seasons Resort Maui makes your family beach trip a breeze. 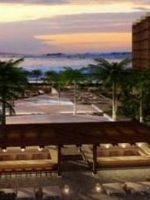 For starters, all of the cabanas around the fountain and waterfall pools are complimentary, on a first-come, first-serve basis. As you and your family relax in shaded repose, simply ask a server to bring a complimentary Pack 'n Play to your cabana so your toddler can nap while the ocean sings him or her a lullaby. And no lugging beach toys to and from your room; simply ask your server for a complimentary set. 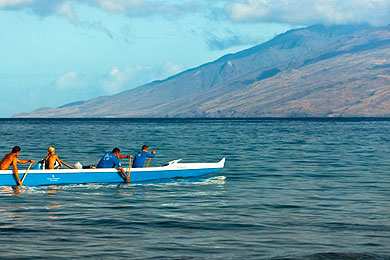 You can even enjoy free beach activities, such as snorkeling equipment for an hour per day and the Outrigger adventure. Before we head to the glorious beach, let's take a quick dip in the pool. There are three pools at the resort ÃƒÆ'Ã†'Ãƒâ€ 'ÃƒÆ'Ã‚Â¢ÃƒÂ¢Ã¢â‚¬Å¡Ã‚Â¬Ãƒ-Ã‚Â¡ÃƒÆ'Ã†'ÃƒÂ¢Ã¢â€šÂ¬Ã…Â¡ÃƒÆ'Ã¢â‚¬Å¡Ãƒâ€šÃ‚Â¬-- the main Fountain pool, the kid's Waterfall pool and the adults-only Serenity Pool. The main Fountain pool is 80 feet long and five feet deep, with a large center fountain for a cool splash of fun, as well as two large hot tubs to soothe the muscles. The Waterfall pool is a lagoon-style, three- to five-foot pool, complete with a realistic waterfall backdrop and two cozy pools connected with a slide, sure to entertain kids, from babies to tweens. Another special treat at the pool are the complimentary treats and services that are offered, from the popular "otter pops" and brownie bites to Evian spritzes and quick cleanings of your sunglasses and cell phones. You can also order "Poolside Spa Tapas," including massages and facials to enjoy at the pool. Even the Keiki (that's "kid" in Hawaiian) in your party can get 10- to 20-minute poolside spa treatments, such as the Opihi Head & Shoulder and Hawaiian Honu Tootsies for kids ages 12 and under. Rest assured, you will all be pampered like babies during your stay. The Serenity pool is a slice of heaven, reserved for the 21 and over set, and boasts a chic poolside bar, infinity pool, and dramatic views of the islands of Lana'i and the West Maui mountain range. For more details, check out our "For Mom and Dad" section. The pools are lovely, but the crescent shaped Wailea beach, just steps away, is simply heavenly. Thanks to its premier Maui location on the South coast, the ocean is typically very calm and placid in the morning, which is an ideal time to enjoy a relaxing swim, snorkel or canoe trip, or to take a paddle boarding lesson before the Trade Winds pick up later in the afternoon. The snorkeling right off the beach is impressive; during our stay, we "hung out" with a sea turtle for a spell and spied some colorful fish and even a striped sea snake. And in true Four Seasons style, the umbrellas and chairs set up on the beach are complimentary. Teens will definitely want to book a paddle boarding lesson with the onsite Maui Under Sea Adventures, who can also help set up scuba tours and scooter snorkels. Speaking of teens, their home away from home is the popular game room, complete with large-screen TV's to watch the big game, board games, table shuffleboard, billiards, Ping-Pong and video gaming systems with a popular selection of games, including Guitar Hero 3. The Game Room is a non-alcoholic designated area making it exceptionally family friendly for all. 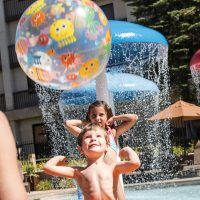 The complimentary Kids for All Seasons program caters to 5 to 12 year olds and is open daily from 9 a.m. to 5 p.m. For an additional cost, the resort also offers special nighttime kids' programs during the high season. Children under age 5 can also join the fun, if an adult accompanies them. Children will enjoy a variety of activities, from arts and crafts projects and movies to outdoor adventures like gecko hunts, pool fun and tide pool explorations. The colorful kids room includes an outdoor space, complete with a basketball hoop, rock climbing wall and air hockey table, which will provide hours of fun for children with all interests. The Outrigger canoe experience is a must-do during your stay, and requires an advance registration, so be sure to book before you arrive. After a quick tutorial, four guests (age 9 and over to ride, 12 and over to row) join two guides on an hour-long row along the coast, where you will be treated to an amazing experience of scenic sights, island history and wildlife adventures, from spying sea turtles to even migrating whales. And when you do venture off the resort, the Four Seasons' impressive concierge staff prides themselves on crafting custom island adventures for you and your family to enjoy. In fact, four of the Four Seasons concierges are members of the prestigious Golden Keys Society, an international organization that honors the finest concierges in the world, and they are the only ones on the island who can boast such an honor. By day, this ocean view restaurant serves light tasty lunches, including lobster salad sandwiches and their famed wood-fire pizzas. But at night, it transforms into a delectable fine Italian restaurant, with a stellar wine list and an air of romance. As South Maui's only beachfront, roofless restaurant, you are in for a real treat. And you need not worry if the kids will be entertained, as Ferraro's has a Keiki menu, as well as a teen menu, and offers a sand bucket filled with colorful connecting toys and coloring paper to keep those hands busy while the family noshes away. Each morning, make a beeline for DUO, as it hosts a scrumptious American-style breakfast buffet with a Hawaiian twist that will more than satisfy everyone in your family. You may order a la carte, or choose the condensed Wailea Buffet or the Full Island Buffett. The buffet even provides decorative plates for children and serves kids' favorites, like powdered doughnuts. Like Ferraro's, DUO has Keiki and teen menus, as well as the connecting toys to entertain tots. In high season, the resort will set up a kid-sized buffet for children to enjoy. In the evening, DUO transforms into an award-winning steak and seafood restaurant that turned out to be one of the best meals of our entire trip. Be sure to sample the native fish dish, Ono, and their local Washimi Kobe-style beef, and relish the fresh salads that change nightly, depending on what the local farmers provide. Even the side dishes, like Hawaiian Kula corn, are amazing, and the meal always ends with a heap of cotton candy that the young and young of heart will enjoy. This sophisticated and stunning restaurant from Wolfgang Puck offers not only an amazing meal, but also one of the best views of the sunset on the resort. The flavorful menu is a fusion of Californian and Hawaiian cuisine, with a dash of Pacific Rim style. Be sure to check out the house favorite -- grilled Mahi-mahi with pineapple-ginger BBQ, Sweet Maui onions, Shitake mushrooms and grilled pineapple. With its chic setting, it may be best to dine here on a "date night" while the kids are entertained elsewhere. But even if you bring your children, no worries, Four Seasons will never make kids feel out of place, and happily provides kid's menus with a smile. One of the best family amenities of the hotel begins before you even get on the plane to Hawaii. The resort provides complimentary car seats for arrival and transfers to the airport, as well as complimentary Pack 'n Plays, strollers, high chairs, baby monitors, baby bathtubs, bottle warmers, baby swings, diaper genies, bed rails and even beach and pool toys, so you can "pack light," knowing you will have every thing your baby's heart desires. The bonus amenities don't end there, as the Four Seasons Resort Maui is legendary for all the special perks and amenities that are complimentary with your stay. The list includes suntan lotion, beach balls, a croquet course, DVD/CD collection, footballs, Frisbees, Kindles, iPods, Ping-Pong, Smash ball, beach volleyball (upon request), scuba classes, exercise attire, a golf putting green and tennis courts, as well as daily fitness and yoga classes. This is Hawaii, after all, so parents will need some time for a little romance. The Four Seasons works with a company called the Nanny Connection that provides babysitting services for resort guests. The Four Seasons works with the same nannies over and over again, and essentially they come with the resort's highly discriminatory stamp of approval. If you are arriving early or departing late, the Four Seasons will happily store your luggage and offers the Aloha Suite for you to freshen up in before or after taking a dip in the pool. The suite includes lockers, showers and changing facilities, along with computers, a television and a relaxation area. 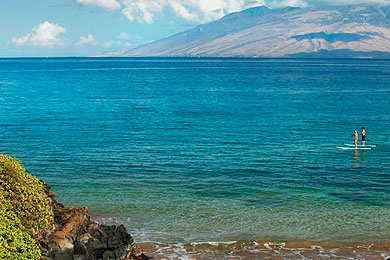 With year-round weather in the 80s, there really isn't a bad time to go to Maui. The closest thing to a shoulder season would be after the summer rush and before the holidays heat up. If you have your heart set on whale watching, plan your trip in the winter months of December through April. And if you plan on booking your Christmas holiday in Hawaii, remember it's the hotel's busy season, so plan your trip far in advance. The closest airport to Wailea is the Kahului Airport, which is a 25- to 30-minute drive (about 17 miles) to the Four Seasons Maui. Several major airlines provide service to Kahului Airport. Limousine and taxi service to and from the airport can be arranged through the hotel. Car rentals can also be arranged at the Four Seasons concierge desk, and overnight parking is available for a per night fee. If you are traveling with young children, be sure to contact the Four Seasons in advance to set up car transfers with car seats. Parents absolutely must find time to sneak away and enjoy the amazing adults-only Serenity pool. Available for 21 and over guests only, the secluded oasis includes an infinity edge pool that appears to flow right into the ocean, where breathtaking views of the island of Lana'i stretch out before you. You will love diving into the 2,650-square-foot pool and being serenaded by the underwater music system that delights the senses with relaxing Hawaiian tunes. Then swim up to the bar for their signature Mai Tai, served in a fresh pineapple, or relax on the lounge chair overlooking the ocean. While lounge chairs with umbrellas are available on a first-come, first-serve basis, they do fill up fast, so you may want to reserve one of their six 160-square-foot luxury cabanas for an extra cost. These cabanas are furnished with flat-screen HDTV's and wireless headsets, Internet access, ceiling fans, mini-fridges stocked with champagne and Evian, as well as oversized lounge chairs and cozy couches. While you are at the pool, you may indulge in some poolside spa treatments, like a reflexology foot massage. But we highly recommend booking a couple's oceanfront massage in the handmade thatched roof huts. Or enjoy any of their specialty massages, such as the Aqua cranial in-ocean massage, where you float in the ocean as a therapist performs subtle craniosacral manipulations to lengthen your spine and soothe your senses.